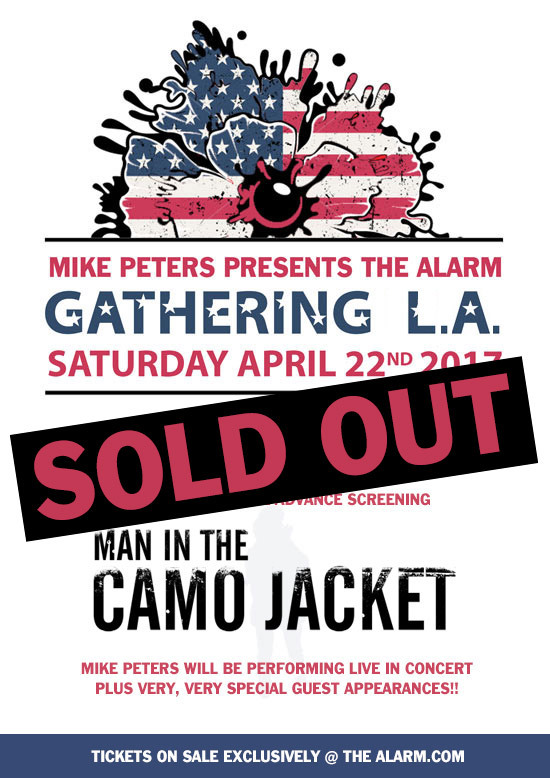 The Gathering Los Angeles that will take place on Saturday April 22nd 2017, at The James Bridges Theatre, UCLA, Los Angeles, California has now completely Sold Out. 2030 – Mike Peters In Concert plus very special guests!! Based on the spirit of the first ever Gathering at Rhyl Town Hall (Hometown of Mike Peters and The Alarm), back in 1992, the Gathering Los Angeles will be hosted across one evening by Mike Peters in person. This is how the legend of The Gathering began in the UK and has now grown into a massive event that celebrated its 25th Anniversary in Llandudno, North Wales on February 3rd, 4th & 5th 2017 and will continue at two other Sold Out Events including the Los Angeles Gathering on April 22nd and at the New York Gathering in the Gramercy Theatre on April 29th. It is only fitting that as Mike Peters and The Gathering looks forward, a Gathering USA becomes part of the vision, honouring the worldwide legacy of Mike Peters and The Alarm – past, present and future. Alarm Podcast #2: Broadcasting Now!